The company just published the ad over on Twitter, which you can see below. And, yep, it features the Supra doing some stylish driving in a life-size pinball game, to the tune of The Who’s “Pinball Wizard” to boot! You can see it below. The ad begins with the driver dropping in a quarter and hitting the “launch” button, then revving the engine of his Supra before “launching” down a long, lit roadway. He then makes his way onto a playfield loaded with a number of obstacles, including a spinner, bumpers and light-up panels that he easily runs over. You can check out how well the Supra handles across each turn, dodging the obstacles and even getting into a nice slide right next to the spinner, before eventually dodging it as it goes around and continuing on the playfield. Eventually, it runs over different letters on the playfield to activate the word “Supra” on a scoreboard, which looks like something out of the classic pinball days (well, the 90’s, anyway). It’s a very well done commercial, not only getting us excited for what the Supra has to offer; but it also puts us in the mood to play some classic pinball, be it with The Pinball Arcade or Pinball FX3. And, thankfully, we don’t have to worry about driving a car around. AMAZING SPOT!!!! LOVE YOU GUYS!!! 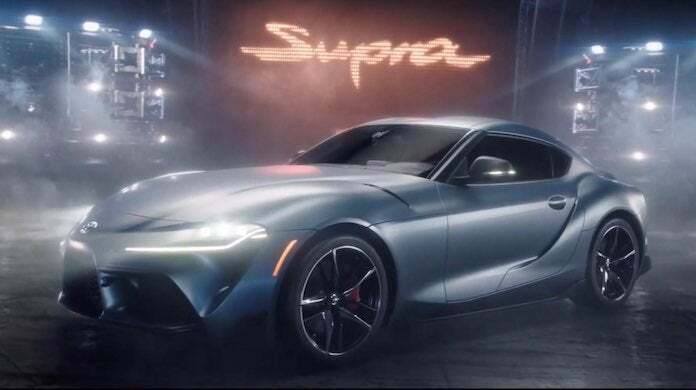 The Supra should be available as part of Toyota’s 2020 lineup. Are you excited to see the Supra back? Or are you just a fan of pinball? Let me know on Twitter at @TheDCD!